One half of our 4-slice Black and Decker toaster hadn’t been working for several months. I finally decided to take a crack at fixing it, as I so often do with broken products. The hardship of insufficient independent toaster ports had become unbearable (or more accurately, I couldn’t resist tinkering with the thing.) I suspected a broken filament from the outset. Here’s what I did for this repair. First, I noticed that the toaster probably had been designed to prevent repair attempts by an amateur like me. There are about 12 screws holding the base access plate onto the toaster, and those need to come out to gain access to the toaster innards. 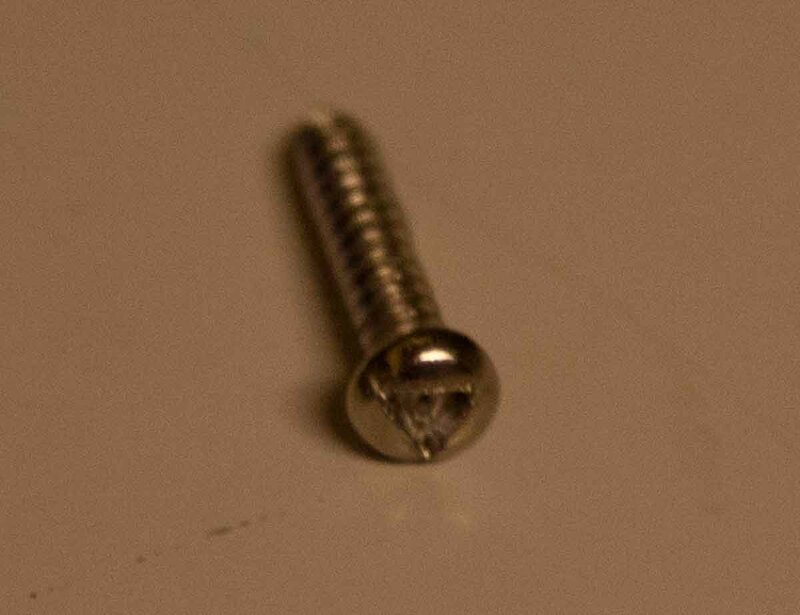 All but one of the screws were Philips-type (inferior American product compared to the great Canadian Robertson screw head , but easily removed). However, the final screw that needed to be removed had required an odd triangular-tip driver. That was likely an intentional impediment to disassembly. I suspect the manufacturer selected that to foil repair attempts by the likes of me, but I’m not easily foiled. I found that a standard slot blade from a precision “jeweller’s” screwdriver set gave enough purchase in the screw head that I could rotate it out. Problem 1 solved. 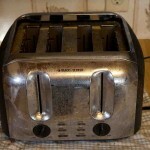 From there, it was easy to get the cover off the toaster, revealing what you see in the next 2 pictures. 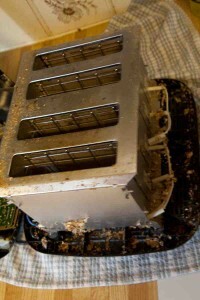 Oddly, I found upon opening up the toaster that there were spider webs throughout, with crumbs stuck to them. Our household Shelob had been busy. I vacuumed all that away. 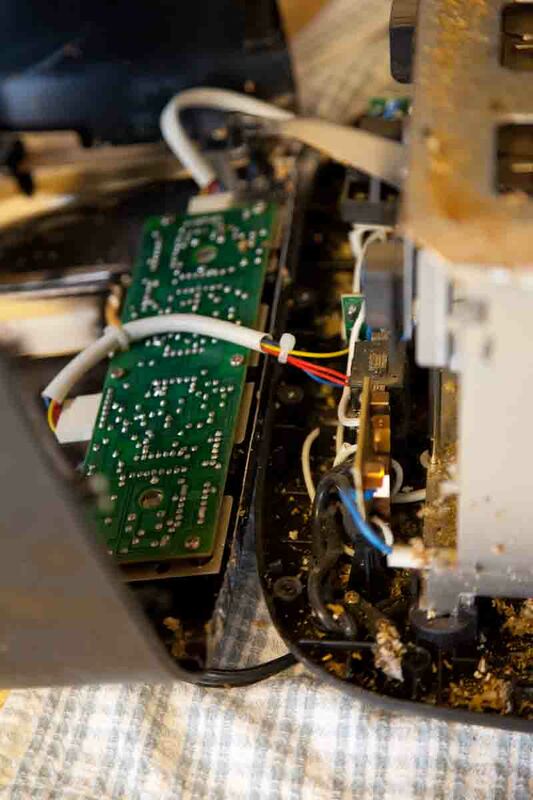 As you can see in the photos, this toaster has a few circuit boards loaded with electronics, so is a bit more sophisticated than the old simple ones with just heater wire and some thermal switches and mechanical linkages. My next problem was that in order to access the filaments that I needed to look at, I had to straighten out many bent metal lugs that are used to hold the internal toaster frame together that you see in the photos with the cover off. Although that lug construction does make repair a bit more of a challenge than removing screws, it makes sense for a device that goes through a wide range of temperatures in normal use. After fixing the broken filament, I reassembled the toaster frame and bent the lugs into place, then screwed the cover back on. However, this time for the cover, I replaced the weird triangular-headed-screw with a common Philips-head one. 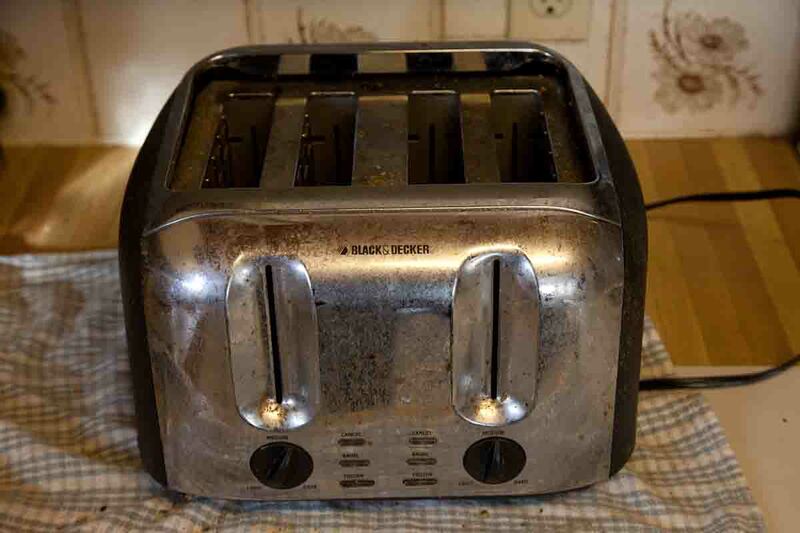 After inspection, I tried out the toaster. 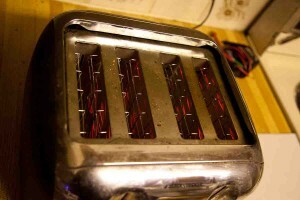 Note in the picture that filaments on all toaster slots are red-hot. Success! Gimli and I then celebrated the repair with some toast, buttered of course just as Gimli likes it. 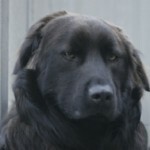 I really liked your article post. Thank you! Thanks for this post. Me too I repaired my not-meant-to-be-repaired toaster … A broken filament. I used copper too… It broke again after few months of use. The copper was oxidated and crumbly… Not able to withstand the heat. How does yours do? Still going strong? Rogier, mine is still working OK after a year of regular, near-daily use. The crimp connector that I used was pretty hefty, about 0.8 mm wall thickness. However, if you do end up junking yours, university Physics labs and similar places often have use for leftover tungsten wire from toasters and such, for making heaters for experiments. If you have a university near you, might be worth checking e.g. with someone in experimental Physics, to see if they have use for a donated junk toaster.